FOR THE UNEXPECTED BUMPS DOWN THE ROAD. Show your car some love with our Vehicle Service Agreement (VSA) which covers the cost of eligible parts and repairs when you need it most. The Lexus Extra Care Platinum Plan is the premier VSA available for new Lexus vehicles, offering exceptional coverage on many major component groups on your vehicle. Covers eligible repair costs due to mechanical breakdown after your vehicle’s factory warranty expires,1 including parts not covered in Gold and Powertrain plans. Enjoy access to our nationwide service network. Plus, all service will be performed by Lexus factory-trained technicians using only Lexus-approved parts. 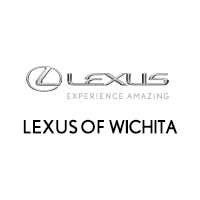 The Lexus Extra Care Gold Plan offers quality coverage on many of your vehicle’s eligible components, while still giving you the flexibility to choose your terms and mileage. Covers eligible repair costs due to mechanical breakdown after your vehicle’s factory warranty expires,1 including many parts not covered in our Powertrain plan. The Lexus Extra Care Powertrain Plan helps protect eligible components of your Lexus, including: the engine, transmission, front- and rear-wheel drive systems and more. 1 Eligible components are subject to change. 2 All Travel Protection benefits are valid only if your vehicle becomes inoperable due to mechanical failure of a covered component. Valid receipts will be required for reimbursement. 3 Time and Mileage coverage periods for New Vehicle Plans are measured from date vehicle was first put into service as a new vehicle and zero miles. Coverage expires upon reaching the maximum time or mileage of the coverage period selected, whichever occurs first. Deductible applies to each eligible repair visit. See your Vehicle Service Agreement for complete terms, conditions and restrictions. 2 All Travel Protection benefits are valid only if your vehicle becomes inoperable due to mechanical failure of a covered component. Valid receipts will be required for reimbursement. . In California, roadside service provided if vehicle is inoperable due to the mechanical failure of a covered component. 3 Time coverage periods are measured from the expiration of the L/Certified Limited Warranty. Mileage is unlimited. Coverage expires upon reaching the maximum time of the coverage period selected. See Agreement for complete terms, conditions and restrictions. 4 L/Certified Limited Warranty is valid for a minimum of two years/unlimited mileage after the expiration of 4 year/50,000 mile new vehicle Basic Warranty, or two years from your L/Certified purchase or lease date, whichever occurs later. When you buy a previously owned Lexus, give yourself the highest level of VSA protection with Lexus Extra Care Platinum. Then, you can leave the rest to us. Covers eligible repair costs due to mechanical breakdown after your vehicle’s factory warranty expires,1 including many parts not covered in Gold and Powertrain plans. Gold Protection for your used Lexus offers the peace of mind that you’re covering many eligible component groups in your vehicle, while still giving you the flexibility to choose your terms and mileage. Covers repair costs due to mechanical breakdown after your vehicle’s factory warranty expires on most component groups in your vehicle,1 including powertrain warranties. If you want to protect your eligible used Lexus after its factory warranty expires, but don’t need the broad coverage of our Gold or Platinum Lexus Care VSA plans, Powertrain Protection is for you. Covers eligible repair cost due to mechanical breakdown after your vehicle’s factory warranty expires,1 including parts not covered in Gold and Powertrain plans. 3 Time and mileage coverage periods for Used Vehicle Plans are measured from the time of used vehicle purchase or lease. Coverage expires upon reaching the maximum time or mileage of the coverage period selected, whichever occurs first. Deductible applies to each eligible repair visit.